Home / Do Vinyl Windows Last Longer Than Wood Windows? Do Vinyl Windows Last Longer Than Wood Windows? A question we hear all the time is whether vinyl or wood windows last longer. When you are thinking about replacing your windows, this is a very important question. Wood is a natural material that absorbs and transports water. This is why lumber must be treated before being used for building purposes. Treated lumber does not absorb nearly as much water as untreated lumber, which helps to prevent the wood from rotting. However, even treated wood must be maintained. Wood windows will not last long if they are not maintained regularly. They must be inspected for rot and the rot must be cut out and replaced. They must be sealed and painted on a regular basis. There is no such thing as a maintenance-free wood window. Vinyl windows, on the other hand, do not absorb water and are not prone to rotting. These windows, when installed properly, can go for long periods of time without maintenance. So in general, the answer is that vinyl windows will last longer than wood windows. However, there are a few other factors to consider. A poorly installed vinyl window might need to be replaced years before a well-installed wood window. This is because, even though the vinyl window will not rot, it can leak water into the frame of your home, which will rot. There are many mechanical components of the window that could fail if they are not manufactured well, and the glass in the window could fog up. Installation of the window is critical when it comes to how long it will last. At the end of the day, a quality vinyl window that is installed by a truly professional window company should last a lifetime. There is no reason why it should need to be replaced again. 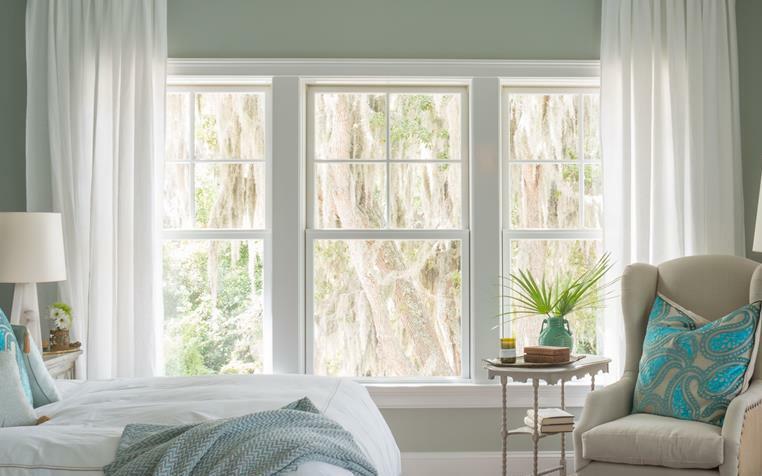 A quality wood window installed by the same window professionals and properly maintained by the homeowner should last for many decades, but may eventually need to be replaced a very long way down the road. The pros at Kelly Window and Door install all types of windows, including vinyl and wood. We have been Raleigh’s trusted window installers for twenty-five years. We would love to discuss your window needs with you and help you decide whether vinyl or wood replacement windows would be right for your home. Just give us a call at 919-461-0010 and we will set up a free consultation for you!